The clients expressed a desire to live next to each other on the daughter’s Great Falls estate. The mother wished to retain her independence and connection with nature. The daughter wanted to expand her existing home to create additional rooms to dine and to write. CHECA Architects worked closely with the green-minded mother and daughter to co-create a new addition for the main house and an adjacent guesthouse. In the main house, the reimagined spaces are bright, warm, and inviting. The owner, an author and teacher, treasures her second story study. Perched atop the dining room addition, with windows on all sides, the study is flooded with daylight and gives magnificent views of the surrounding woods. The new cottage is tucked into the existing woods within easy walking distance of the main house. The orientation to the gently sloping terrain and adjacent stream was selected to preserve trees and facilitate optimal day lighting, summer shading, and natural ventilation. Inside, the guesthouse is designed for ease of living and single floor accessibility with an open loft used as a studio and guest space. Soaring windows create a sense of expansiveness and feature remotely controlled upper windows to capture the breezes provided by the hillside setting. Eco-minded building materials and finishes reinforce the connection to the natural environment in keeping with the warm, modern aesthetic. 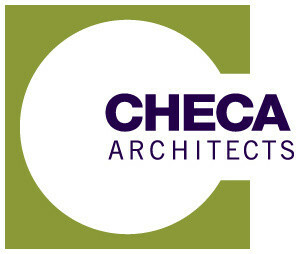 CHECA Architects created an integrated design team that included LEED (Leadership in Energy and Environmental Design) certified architects, builder and landscape architect, plus geo-thermal energy and greywater consultants. The team applied innovative greywater, wastewater, and stormwater solutions to preserve the ecological integrity of the site. The wastewater solution included a composting toilet in order to avoid installing a septic field and cutting more trees. The Clivus Multrum system works with a compost chamber housed in a small cellar requiring minimal excavation. 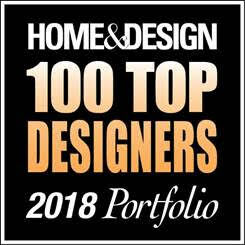 Additional sustainability features include passive solar, a highly insulated and sealed building envelope, highly efficient LED lighting, and water-saving plumbing fixtures. The result: a family estate in harmony with nature and the clients’ sensibilities. I loved working with Lorena Checa of CHECA Architects! I most valued her integrative approach – considering how all the elements of what we were doing fit together and supporting us in how to weave the project together on every level. Lorena was entirely respectful of our taste and brought all of her talents to help us manifest what we wanted. She was able to balance our budget concerns and insure an outcome that was high quality and truly aesthetic. Bottom line, Lorena’s intuition and caring heart made her a person that we could trust as we navigated a complex and naturally stressful process. Lorena’s firm was supportive on even the most practical level, guiding us in how to locate and purchase the many accouterments we desired.